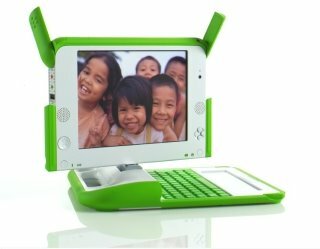 One Laptop per Child is an initiative designed to push one billion ultra-cheap laptops to the children of the world. As radical as this sounds it's certainly a plausible path for the evolution of computing. In any event, the network's unceasing appetite for more nodes will generate them as quickly and cheaply as possible. But what about payment for network services? The current model is advertising but that can plausibly be seen as an artifact of the web much like it was for broadcast television. At this point, would anyone seriously advocate an advertising only model for television? PVR users will not even tolerate the constraints of fixed scheduling let alone time lost to explicit advertising. The next billion computer users will be pulled onto the network by governments to make delivery of information services like education and training as cheap as possible. These young, predominantly third world, users will be valuable to the network not because of their incomes but simply because they are human. As the network becomes increasingly able to use human feedback the value of screen real estate and user attention will vastly outweigh the inefficient response rates of online advertising. As more and more user generated content is consumed, trends and patterns of identifiably human feedback will be the most valuable information resource in the digital universe. 1. Web ads are not the same as TV ads (for one, TV ads interrupt the show). But the regular commercials are not all there is for TV, there's more insidious stuff like cross-marketing and product placement. Look at Transformers -- no commercial interruptions, right - but it's all a giant ad for GM and the Army in a very obvious way; but it could be more subtle.